Bathtub liners have become an effective alternative to replacing old, worn down bathtubs. This option allows you to save money and time by adding a liner to the existing bathtub instead of removing the whole unit and installing a new one. Removing the liner on an old bathtub can be tricky and challenging. It requires a lot of strength to pry away the pieces of the old material without damaging the tub underneath. Adding a new liner requires a lot of measuring to ensure that you get the exact acrylic mold fit for your tub. Do not use your bathtub for 24 hours after replacing the liner. Cut into the sealant with a knife until the seal breaks. The sealant holds the liner to the sides of the wall. Place a prying tool underneath the liner where the seal was broken and pry upward until cracks and large chunks begin to form. The cracks created are the weakest parts of the liner being removed. Position the tool where the cracks form for easier removal of the liner. Remove all chunks that you pry out. Continue the process until every piece of the liner is removed from the bathtub. Measure the bathtub inside and out. Write down the height, width and depth of each point measured. 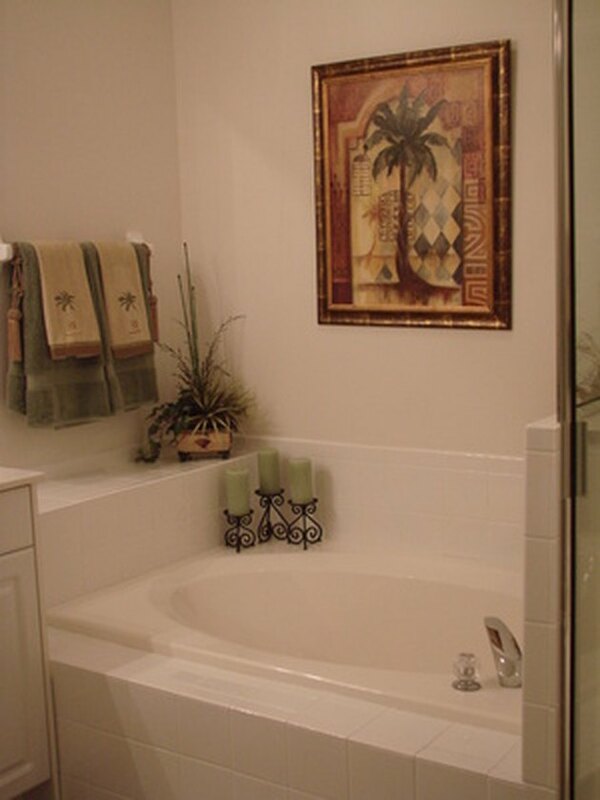 Hire a bathtub refinishing company to create an acrylic sheet molding using the measurements of your bathtub. Scrape off any old caulking around the bathtub. Remove all bathtub fixtures. Scour the bathtub with denatured alcohol to remove any mildew and grime on the surface before adding the liner. Apply an adhesive that is water-resistant to the inside of the bathtub once you have recieved your new liner. Add a silicone sealant and press the new bathtub liner into the correct position. Caulk the seams around the new liner. 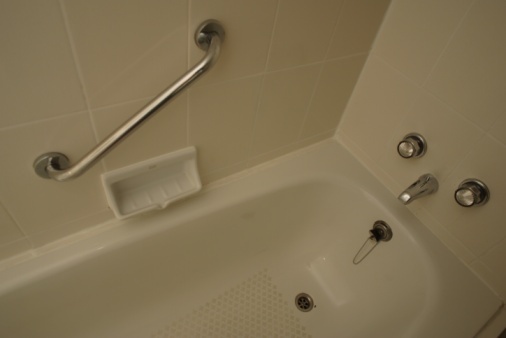 Replace the bathtub fixtures or install new ones. Seal the bathtub fixtures so that water doesn't get into the space between the new liner and the old tub. Heather Jones has been writing since the age of 7 and she began professional freelancing in 2007. Her work appears at Suite101, Associated Content, Helium and Triond. Jones has a high school diploma and was an honor student in journalism and fiction.